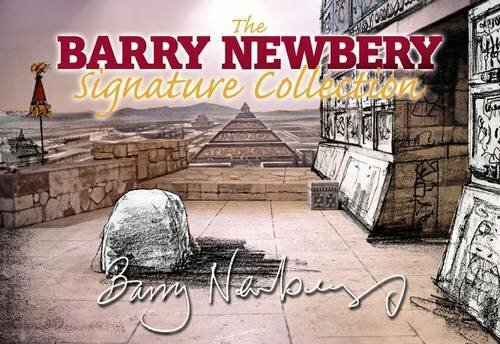 Telos Publishing has just released The Barry Newbery Signature Collection , an indispensible collection of photography taken by Barry Newbery of sets he designed and constructed as production designer on the Doctor Who television series from 1963 to 1984. Now in his eighties, the most prolific designer of sets from the classic era of Doctor Who discusses decisions behind the design of historic sets well-known to long-time Whovians as well as a behind-the-scenes look at his work as a designer working for so many years at the BBC. Expect to see several images of the Daleks, the TARDIS, and the various interior designs of the ship that has always been bigger on the inside. 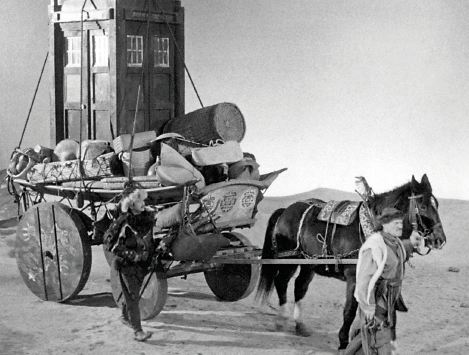 A great early image of the TARDIS being carried across the Gobi desert.